In the first of the special features on That's Nice Design I caught up with the self penned "Jane-of-all-trades" over a virtual coffee and cake to discuss her super cute robots. 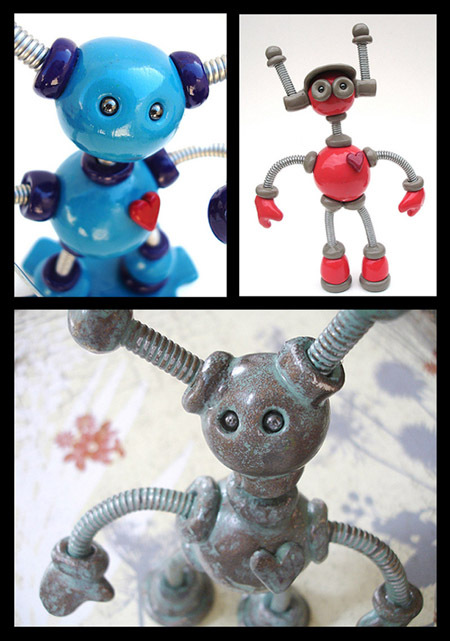 "I've worked with polymer clay since childhood, I've made random sculptures off and on for years. 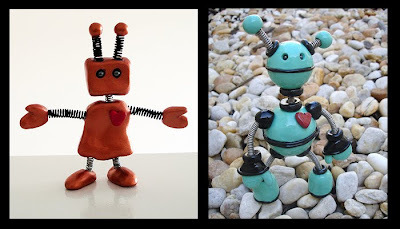 When I began drawing digital robots, I tried my hand at making one out of polymer and wire. I really enjoyed making my first robot (pictured below left) and haven't stopped since." Have you ever made a robot that you just couldn't bring yourself to sell because it was too cute?! "Yes, Teal Plumply (pictured above right) He was the first robot that really came together, I love his colors and he inspired me to make more." The robots creator is a self confessed Star Trek and Doctor Who fan, and has always been inspired by that genre in her work. I asked her if she would like her robots to take over the world but it seems the main aim is for people to buy a robot, place it on a shelf and just make people smile. And with each robot branded with a heart "Because we all need a little heart in life!" it's surely impossible for her mission to fail. I for one, am a robot convert. I have probably never described robots as awesome in my life until now... awesome, playful, adorable, intricate, lovable, colourful bots... I could go on. What do you think of Robots Are Awesome? comments please! I 'accidently' turned on children's TV this morning instead of the usual breakfast election news, and found myself captivated by a title sequence for Eliot Kid. 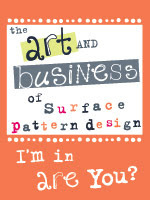 It's cute yet sophisticated style goes to prove that not all kids graphics need to be brash colours with big 3d type. 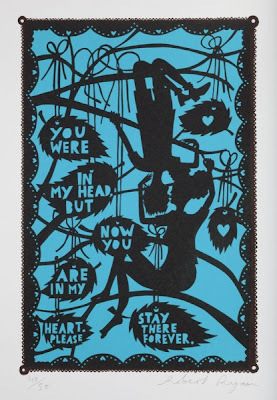 If you ever get a chance to see Rob Ryan's studio you must go. From the 23rd April to 3rd May he had his studio set up in Somerset House as part of the Pick Me Up festival. 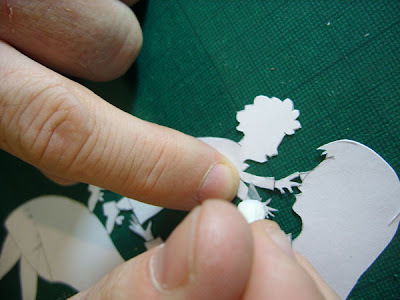 Seeing the intricate nature of the work and the cut outs so close up just makes you appreciate the work even more.